1 A young displaced girl carries a bucket of water back to her makeshift shelter at a United Nations compound. The compound has become home to thousands of people displaced by the recent fighting, Juba, South Sudan, Dec. 31, 2013. 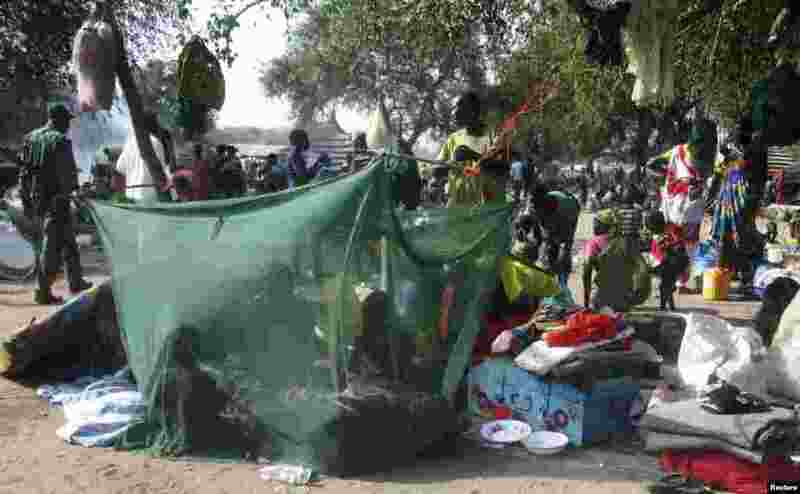 2 Displaced people gather inside a mosquito net tent as they flee from the fighting between the South Sudanese army and rebels in Bor town, in Juba, South Sudan, Dec. 30, 2013. 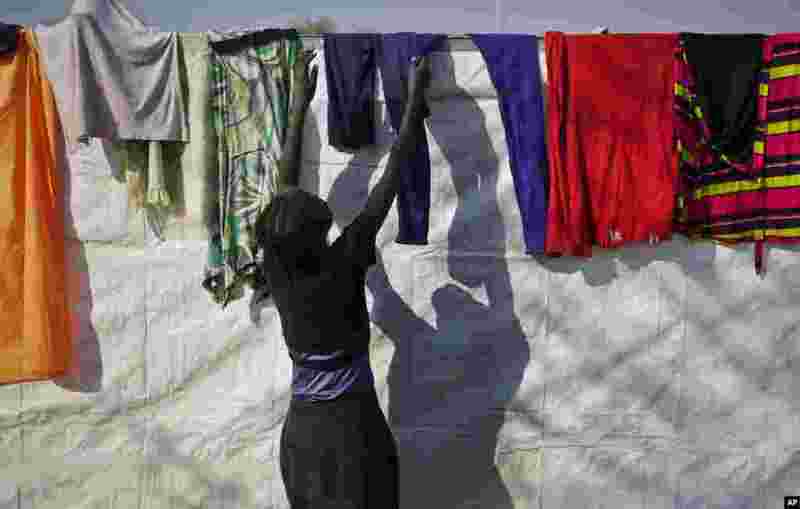 3 A displaced woman hangs up laundry on the plastic sheeting wall of a latrine at a United Nations compound, Juba, South Sudan, Dec. 31, 2013. 4 Yared, 2, is held by his mother, Madhn, who fled from the town of Bor a few days ago. 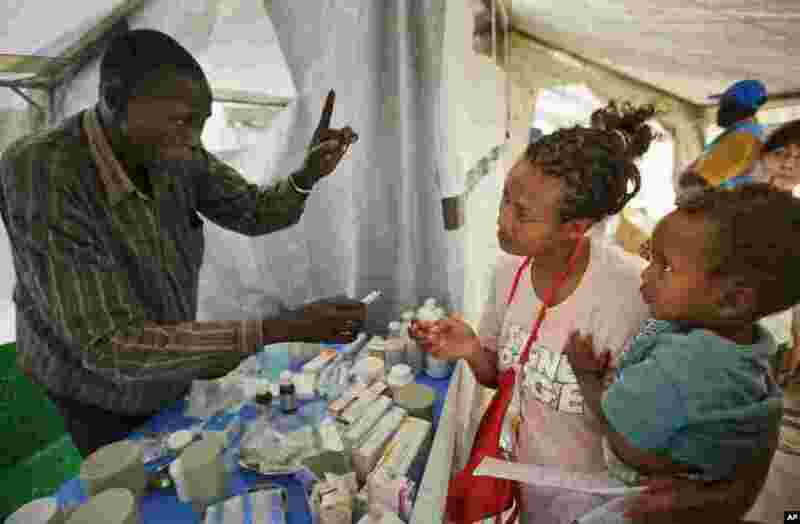 She receives medicine for her child at a Medecins Sans Frontieres (MSF) medical tent, at a United Nations compound, Juba, South Sudan, Dec. 31, 2013.